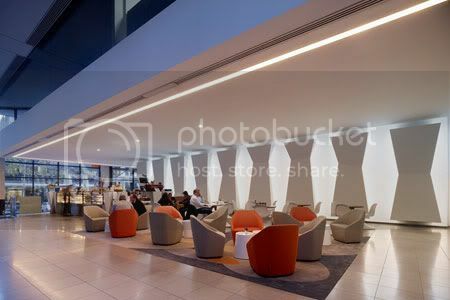 The refurbishment of the foyer space is akin to the approach of set design where the performance is the day to day activity of tenants within the commercial world. The refurbishment of 31 Queen Street, a building foyer and street façade is founded on the need to renew the commercial viability and asset value by ensuring existing and new tenants will remain occupied within the building. With the city is now a 24/7 entity, where it’s important to ‘market’ such addresses outside of traditional building hours. Coming to life at night as a sculptural space to street view assists with the significance of the place. By using the approach of set design, a number of elements have been implemented to strengthen the building appearance form street view. Externally it has received a dynamic facelift with the installation of a sculptural canopy. Designed in association with artist and sculptor Dan Templeman, the new canopy provides a new identity and presence at street level. A pure abstraction form to ‘go with the flow’ on one hand, yet ‘critique’ the geometry of the existing building on the other. Internally, a folding wall of Corian and internally-lit perforated metal panels surround and reinvigorate the core. With lighting, the core wall punches out into the street, creating an impact both during the day and night, providing a strong aura and connection to the outside. The purity and abstraction of form adds a three dimensional layer to what is typically a flat plane. The renewal of the foyer has been further strengthen, with the unification of the lift lobby and a new larger public waiting area using communal furniture pieces and new artworks. The addition of a seated café area to the upper level has created a new informal meeting space for all users of the building.